Everything's bigger in Texas, including your easy-to-book Dallas vacation! You can easily research and purchase tickets and admissions to enjoy dining, live shows and more. Explore the best that Dallas has to offer with the Dallas, TX Family Vacation Package, where you will receive 3 nights of lodging at the property of your choice and admission to the Legoland Discovery Center Dallas and Sea Life Aquarium Dallas. 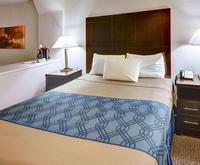 3 Nights Hotel Accommodations in your choice of over 105 hotels.